Homemade almond milk is such a treat. 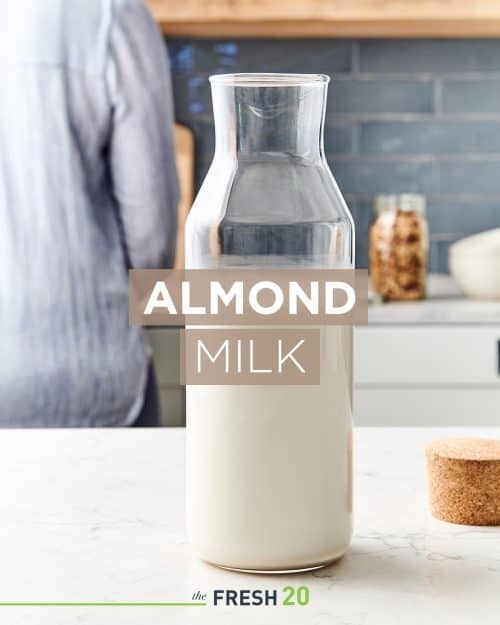 When you’re craving the creamiest, silkiest dairy-free milk to enjoy with a baked good or as a base for smoothies, it takes just a few minutes to DIY almond milk. Store-bought options sometimes include fillers and lots of extra sugar. This 3-ingredient milk offers a pure, delicious alternative that takes just a few minutes to complete. 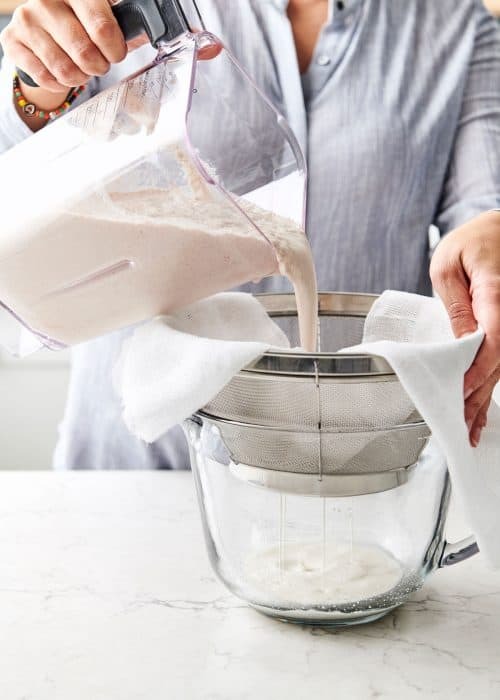 As with so many homemade items, DIY almond milk tastes much better than store-bought, and it’s hard to go back once you’ve tasted this fresh, additive-free milk. It’s so simple! Start by soaking your almonds in water and a bit of salt overnight. Come morning, give them a cold-water rinse and throw them in the blender with 4 cups of water for 2-3 minutes. 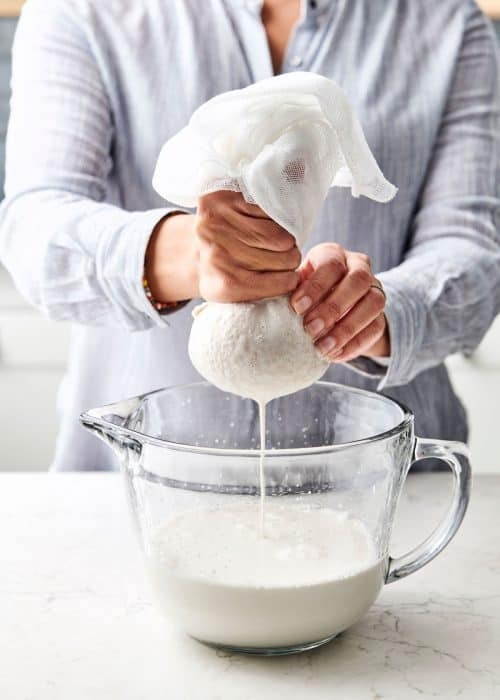 Using a cheesecloth and strainer, pour the mixture through into a large measuring bowl and use a wooden spoon to press any remaining milk from the pulp. Enjoy your fresh almond milk with pancakes, a muffin or stirred into your coffee. You can completely customize this, and I also love to separate out one cup, add a splash of vanilla and a squeeze of date syrup for a decadent coffee creamer! We also use this homemade almond milk in our kitchen for baking, and it works very well. Place almonds in a 32 ounce mason jar and cover with water. Add salt. Soak overnight in fridge. Place almonds in high speed blender with 4 cups water. Blend on high for two to three minutes. Line a strainer with cheesecloth and place over large measuring bowl. Use a wooden spoon to press almond liquid through cheesecloth. Gather the cheesecloth into a ball and squeeze any remaining liquid into measuring bowl. Transfer milk into a airtight container (like a mason jar) and store in fridge for up to three days. Can be stored in the fridge up to 3 days.